I am so excited that Spring is finally here! It is by far my favorite time of year...I really could live in an eternal Spring and be happy. 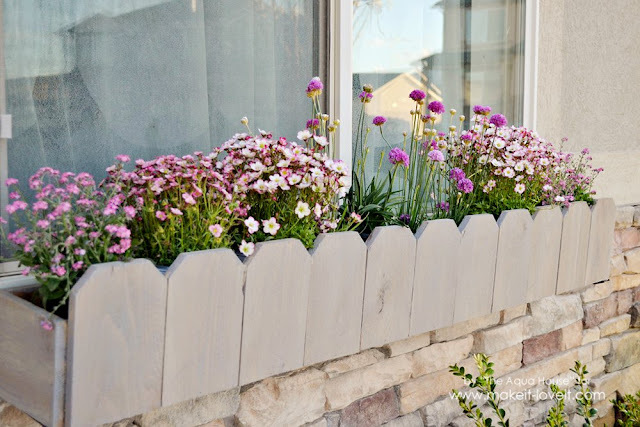 This year curb appeal has been on my mind a lot. We've been in our house 6 1/2 years and haven't done much to the outside besides upgrade our garage door. 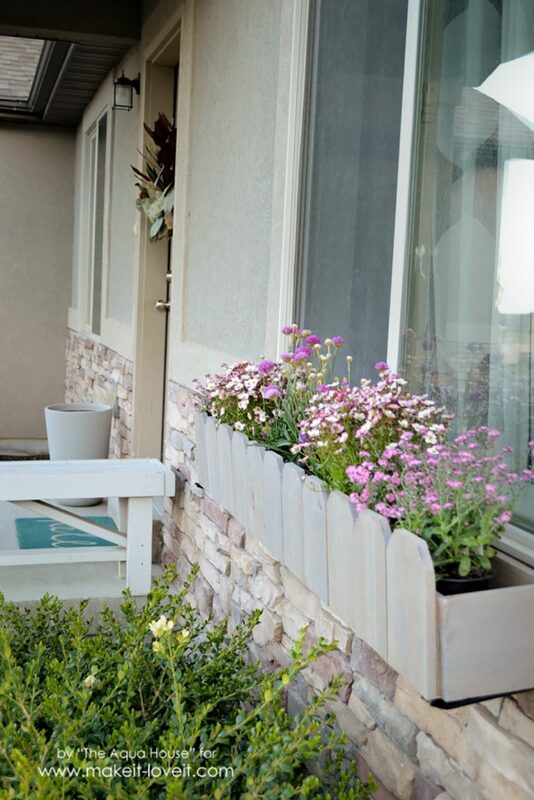 I have a few things on my list to do to the front our home to give it more curb appeal and one of those things was flower boxes. 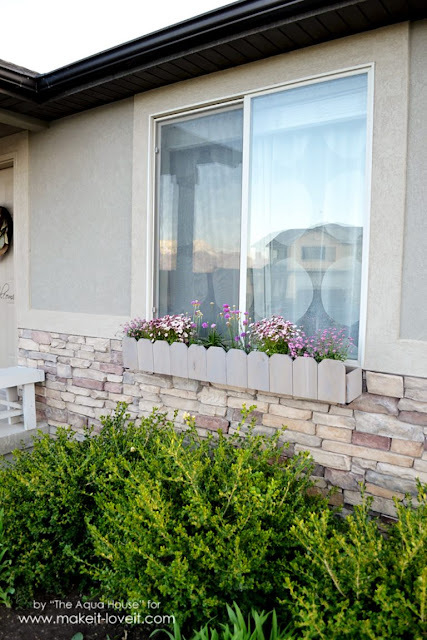 For the longest time I've been wanting to add some flower boxes to the front of our home to give it more dimension and color. I just love flowers and think they add so much to a yard. Every time I walk (or drive!) 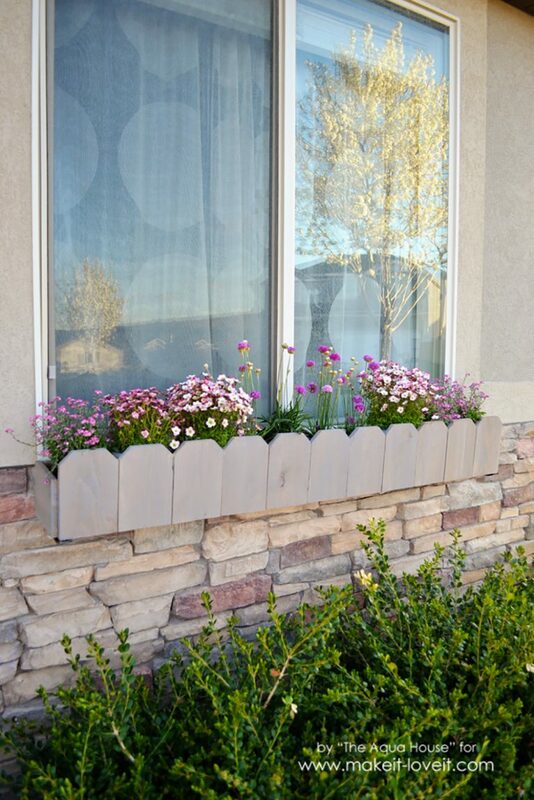 by these flower boxes they make me smile so big! I can hardly wait for them to grow in and start cascading. I love that I'm able to add a seasonal pop of color to the front of our earth tone colored home. These flower boxes were so easy and fast to make and the best part is that they only cost $20 including stain. To learn how you can make your own visit the entire tutorial HERE on MakeIt-LoveIt.